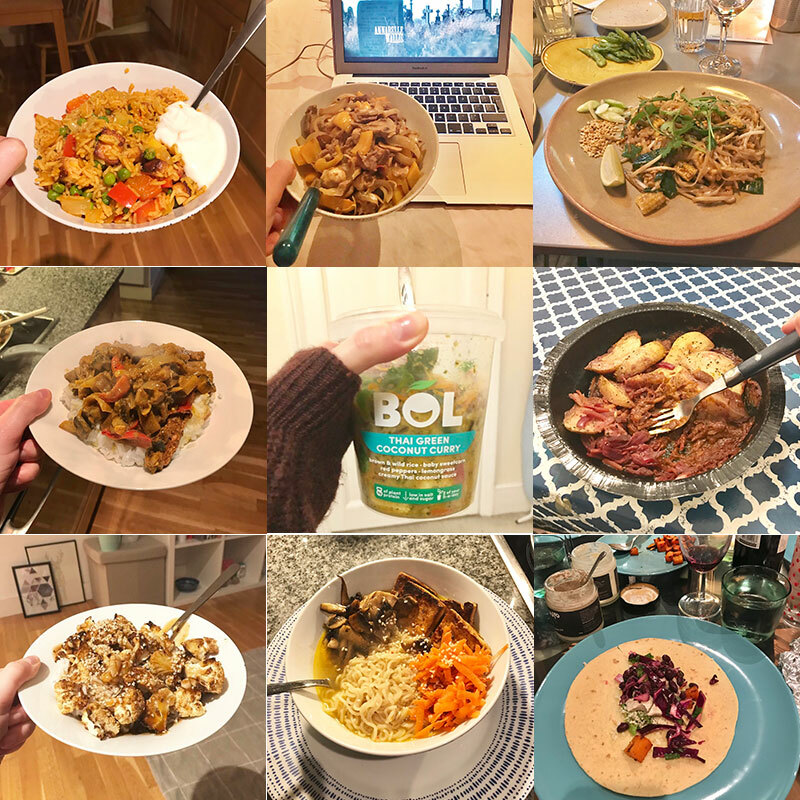 Why did I want to do Veganuary? For me, 2019 is about aligning my morals with my actions. I have always considered myself an animal lover (and I'm very much that basic bish that will squeal when a dog walks past), and I can no longer justify to myself only believing that domesticated animals should have the right to live and not be abused. 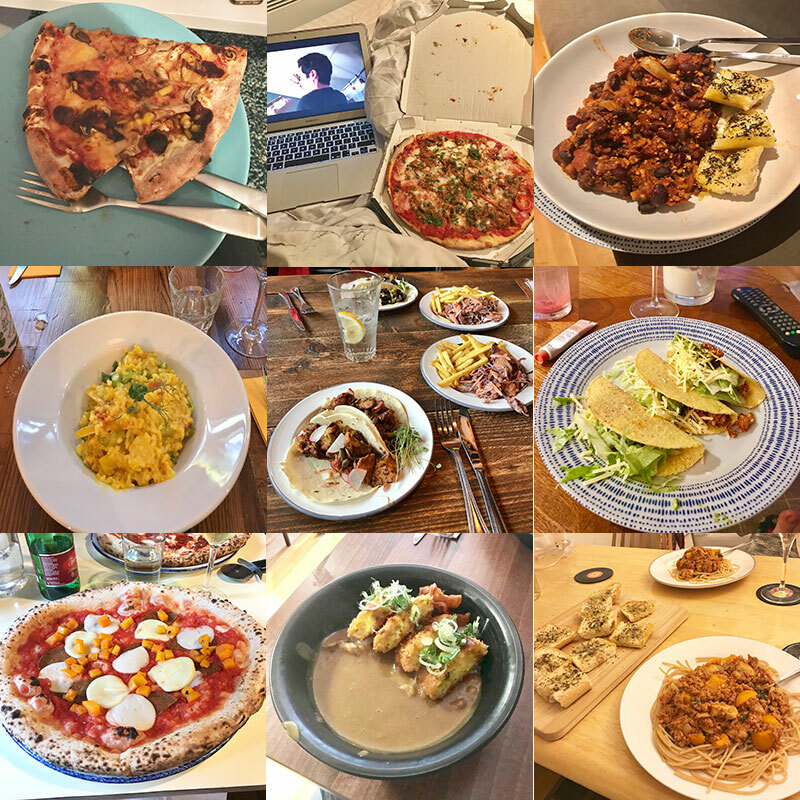 I started being 'flexitarian' in 2016, as I used to live in with my bestie, who was vegetarian. At the time I was massively lazy with cooking, and she used to share with me whatever she made for dinner - which was always veggie. That accompanied with the fact I've never enjoyed chopping up raw meat, and an experience with a poor quality chicken meal deal sandwich - I stopped eating chicken, and went flexitarian. Progressively on from that, most meat became unappealing to me (I've always been fussy with cuts of meat being well cooked, and would avoid anything cooked medium rare or with visible fat). The only meat I would eat was cured meats like ham, salami and pepperoni, and fish. I cut out normal milk in my tea and cereal around the same time and switched to soy, because I thought it was healthier. 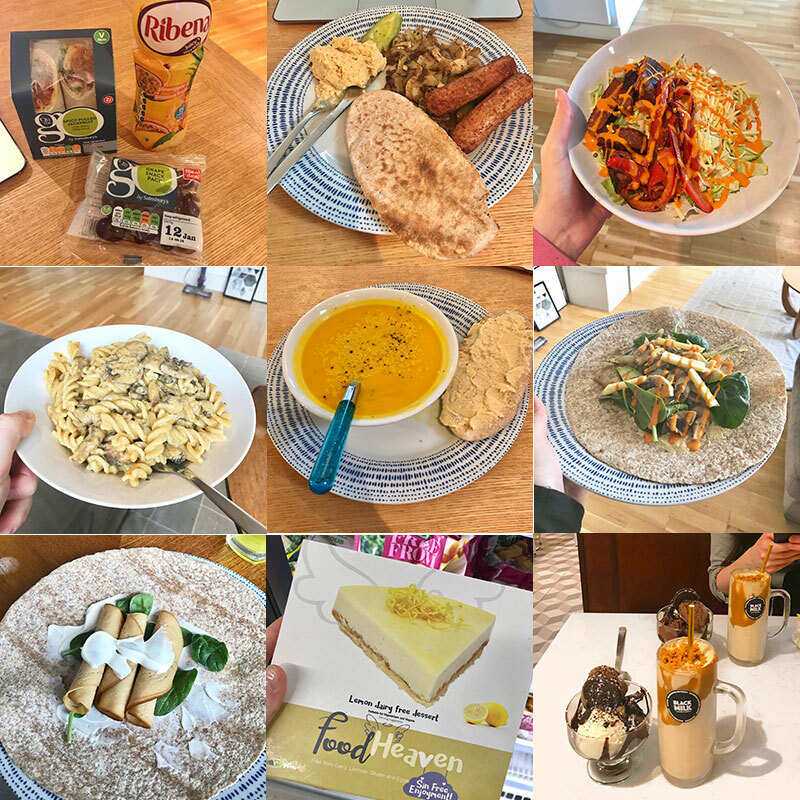 I classed myself as pescatarian for most of 2018, although I definitely lapsed a few times on nights out where I ended up having a Maccies and then felt terrible the next day - definitely a lesson learnt that I need a 'fake meat' substitute in my diet! The last time I had meat or fish was August 2018 when I went on holiday to Italy, where I ate a lot of seafood and had a few slices of salami (clearly a weakness). The last few months that I've been completely veggie, I've done more research into the dairy and egg industry, which has thrown up some pretty uncomfortable truths. Most people are aware of factory hens and how the egg industry can be cruel, but learning things like how all male chicks are killed en masse (as they serve no purpose as they can't lay eggs), and how dairy cows are forcefully inseminated and then separated from their calves repeatedly (and often the male calves killed, as again they serve no purpose), in order to ensure milk continued milk production, really opened my eyes. In my opinion, the fact these animal products taste good, should not legitimise the suffering animals go through in order for us to procure them. 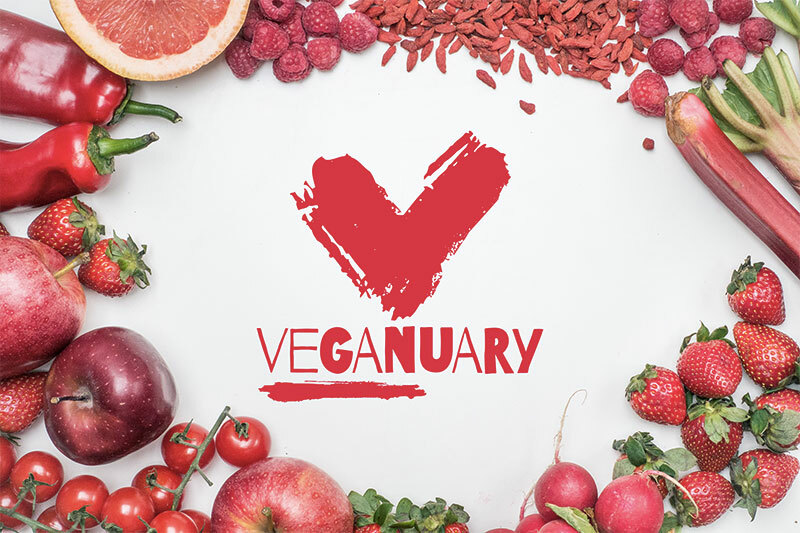 Reading studies about the health and environmental implications of consuming and producing animal products also were massive factors in me being sure I wanted to try Veganuary in 2019. First of all I cleared my cupboard/fridge of anything I wouldn't be eating - mayonnaise, super noodles, honey, some ProteinWorld products and some Quorn bits that had egg/milk in them. I ordered my first Tesco shop to arrive before new year's eve, so I wouldn't be tempted to order a massive cheesy pizza if I had a hangover on new year's day. 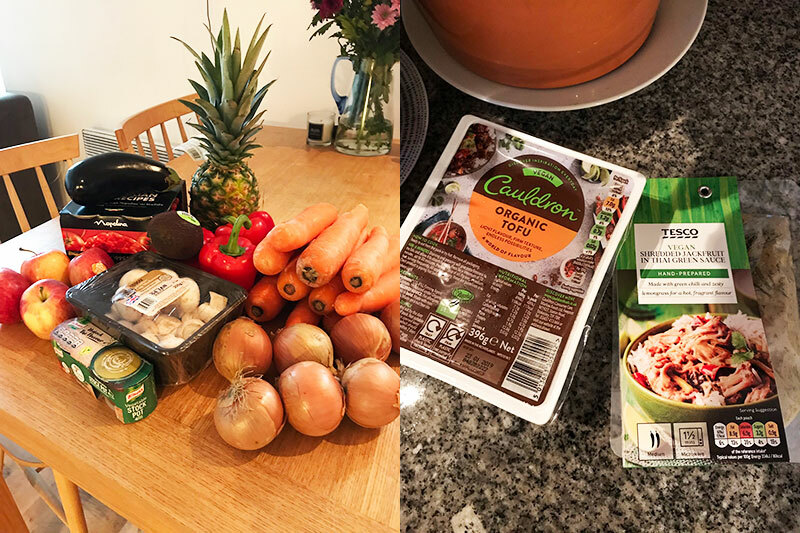 My nearest big supermarket is an Aldi; so I went there for fruit & veg throughout the month, however for things like vegan cheese, fake meat and oat milk, I had to walk into town to a Sainsburys/Tesco/Asda. I also bought some Iron and Vitamin C, and Vitamin B12 supplements from Holland & Barrett, and ate spinach quite a lot for extra iron; and I didn't notice feeling tired of lethargic at all. Not pictured is the canned pulses I bought: black beans, kidney beans, tinned tomatoes and A LOT of chickpeas. 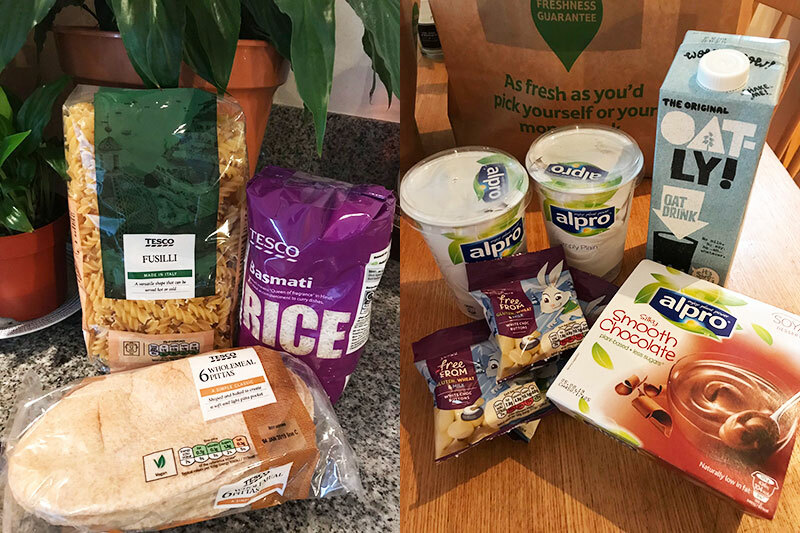 Some items I repurchased and were definite staples were: Agave nectar, chickpeas, oat milk, soya yoghurt, pitta bread and nutritional yeast. If you want to see my Twitter thread of everything I ate, click HERE. I didn't think I'd find doing Veganuary that hard because I was already vegetarian, I wasn't eating that many dairy products to begin with, and I've never been a huge fan of eggs. What I didn't realise is that milk in particular, is in EVERYTHING. I became very used to checking product ingredients thoroughly, luckily milk and egg is usually always listed as an allergen and so will be in bold - but a lot of products will very confusingly be labelled 'suitable for vegetarians' (in something that wouldn't contain meat anyway) so you really have to check what you're eating is actually vegan friendly. To begin with I did crave chocolate (especially with leftover Christmas chocolate still around), but this happened less and less. To be honest, the more research I did into the dairy industry and efforts they have to make to remove pus/blood from milk (and seeing videos of how sore and bloody cows' udders can look after milking), milk products began to seem almost repulsive. The two things I struggled with were alcohol and honey. I tried to check as much as possible in restaurants if wine was vegan, but occasionally forgot. I also realised at the end of the month that the granola I'd been having for breakfast every day had honey in it (which I hadn't clocked in the ingredients as honey isn't an allergen). The free from/gluten free ranges in supermarkets were a godsend for snacking - as these will often be egg or milk free and means you can find a choc bar without hunting too hard. Always check the ingredients though! There's so many pros of going vegan so I'm just going to keep it short and link to info where I can! - It's good for your health. There are so many studies that link animal products to really serious health issues. Processed meats are technically in the same WHO carcinogen category as cigarettes. Regular consumption of red meat has been linked to a considerable increase in your chance of getting prostate cancer, and bowel cancer. 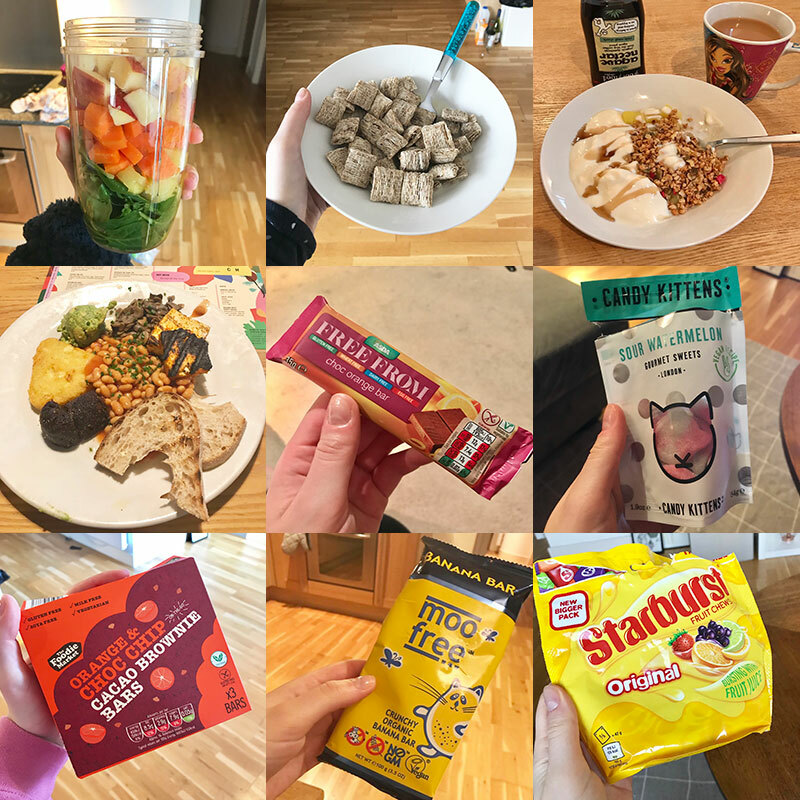 I also found I just ate more healthy in general as you have to 'hunt' a bit more for junk food, i.e it might be easier for me have an apple instead of find a supermarket that does dairy free chocolate. And of course, you're eating more fruit and veg, so you're definitely getting your 5 a day in. - There's literally vegan alternatives for everything. Steak lover? Vivera do a steak which literally bleeds (this weirds me out a little I must admit). Cheese fanatic? You can get vegan versions of most types of cheese. And Papa Johns have just released a line of vegan pizzas too. - It's good (and probably essential) for the planet. 80% of rainforest deforestation is caused by the animal agriculture industry. 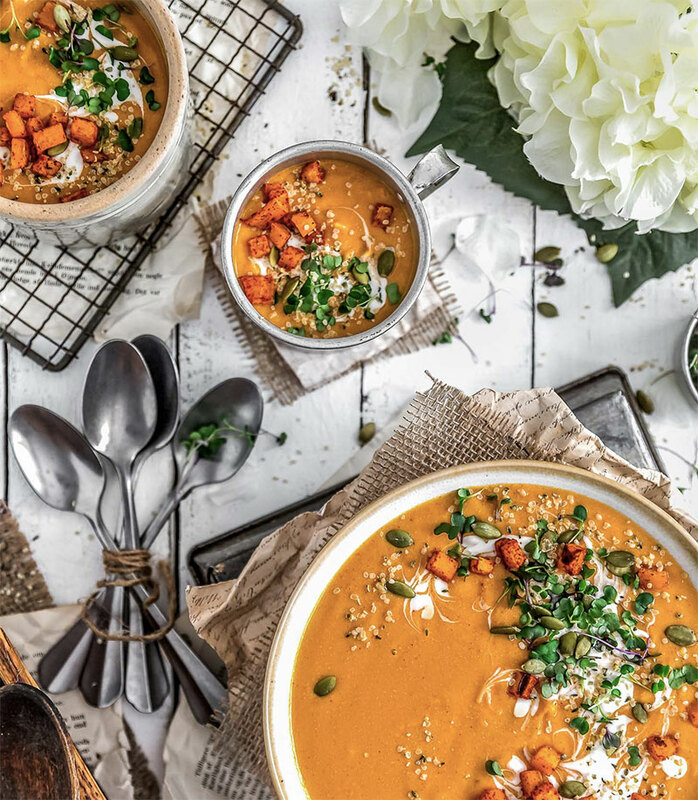 A new study by Oxford University has said that avoiding meat and dairy is the single BIGGEST way to reduce our impact on earth. - If you're looking to lose weight, going vegan can help. I personally found I lost the weight I gained over Christmas and a little bit more (and I wasn't going to the gym for the first few weeks in Januaryeither), just from the switch in diet. I also never went hungry, and I still kept up regular snacking and sweets/pudding. - Clearer Skin. I don't know if I personally noticed a change in this, but this is often used as a solution for those with acne (who might not be going fully vegan either) - there seems to be quite a strong link with skin problems and dairy consumption. - Save money! 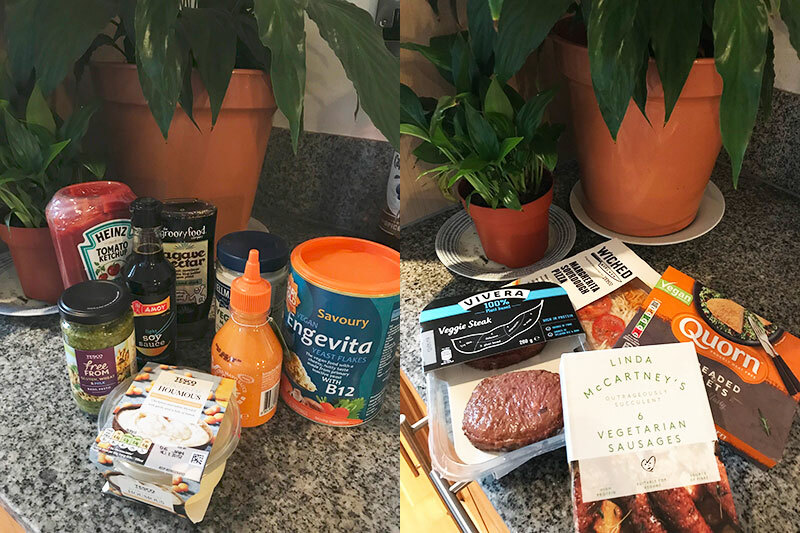 The vegan or vegetarian option in restaurants tends to always be cheaper, and often your food shop will be cheaper too - even if you buy vegan meat/cheese. - Improve your cooking skills. I found myself looking up new recipes to try to keep things exciting, and I prepped a lot more in advance. Asides from one or two cooking disasters (e.g incinerating an entire chickpea curry), I've definitely improved my cooking skills and learnt new go-to quick recipes. - Save the animals. If you're an animal lover, veganism is for you. No animal wants to die, or be abused. There's no such thing as a 'humane' or 'ethical' slaughter. By going vegan you won't contribute to any cruel practices. - Help your stomach. I'm pretty sure there's meant to be a stereotype of vegans pooing a lot (lol), and I definitely noticed this in the first week or so! I think this is as your body gets used to the extra fibre in your diet, and things have calmed down since. I've suffered with IBS type symptoms for most of my 20s and I'd say my stomach has definitely improved since going vegan. For a list of 100 reasons to go vegan check out this thread HERE. - Other people's opinions. The same way you can end up debating politics & religion with people, and especially when you've discovered something new you're excited about - the lifestyle change does seem to rile people, and I've even found myself worrying new people I meet will assume I'm preachy and holier than thou because I'm eating vegan. I've definitely a few times justified myself with 'but I do miss salami' or 'I'll probably crack soon and have some cheddar lolol'. As someone who lives in a perpetual state of worrying what others think of me, there does seem to be the negative of making sure to prove to others that you're not one of THOSE vegans. Which is silly really, because it's just what you're eating. - The eating out conundrum. If you like looking at the menu before going to a restaurant, you're in the luck - because you're going to be doing a lot of that. 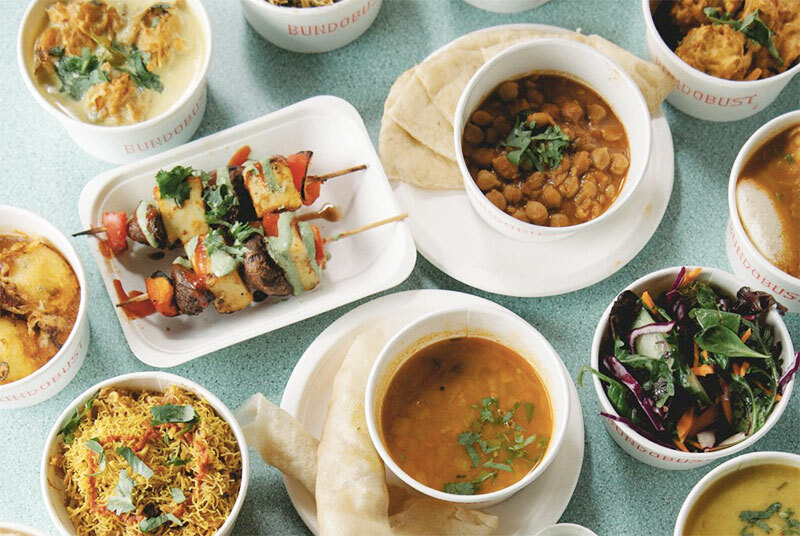 If you're going out for dinner with friends you may end up having to ask to go to restaurants with more options, or even just a restaurant with AN option. Hilariously, veggie friends have had multiple experiences where they've found fish was considered the vegetarian option on the menu, and suggesting otherwise completely bewildered the staff. If you're in a big city however you shouldn't have an issue with this at all, most big chains now have a vegan menu, and there will be plenty of speciality restaurants. Take it slow. If you're thinking of cutting out animal products - don't immediately go vegan, because the shock to the system will probably mean you fail (see above where I ended up getting cheese burgers after a few vodka cokes). Try slowly, work your way in with things like meat free mondays, switch to a plant based milk (my favourite is oat, and it tastes the most realistic to cow's milk imo), go pescatarian, go veggie, and so forth. Find your inspiration & information. 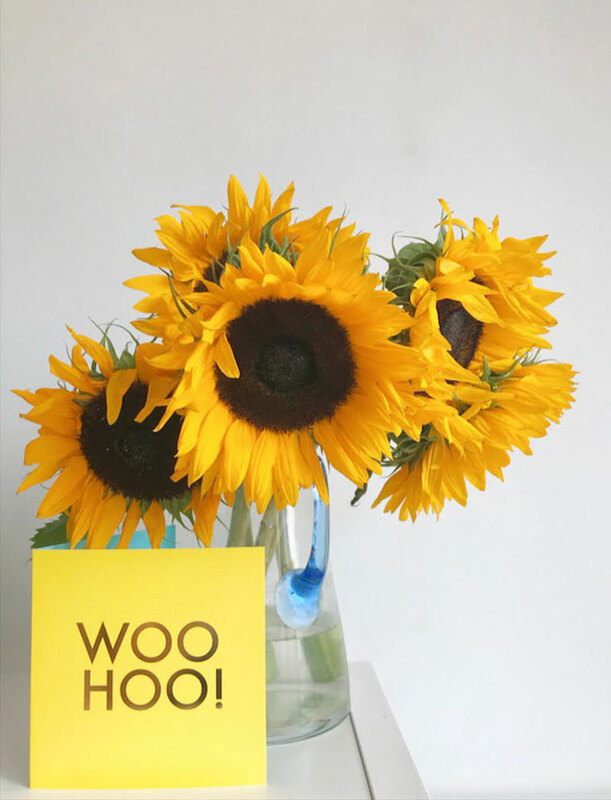 Find resources to help and inspire you. There are plenty of vegan influencers, vegan twitter is always informative, and there are loads of vegan documentaries. Don't torture yourself with abbattoir videos if they're going to upset you/make you feel sick, you can educate yourself about the cruelty without having to see it. I try to focus on mind over matter, yes I want that dairy milk bar - but was has been the ethical cost of it? Accessibility & failure. Only do what is within your means, and accessible to you. While I don't think veganism is more expensive, certain factors can affect your ability to follow any diet - whether this is a vegan diet or not. Don't beat yourself up if you fail, even the smallest changes make a difference to animals and the environment. Find vegan alternatives to combat your weaknesses (i.e cheese, chocolate, burgers...). No one is under the impression that it's possible to be completely vegan, due to how to how most human living is structured around the utilisation of animal products. Just do what you can! One I tried recently in Leeds as well is El Marchador Tacos, which also does vegan tequila/cocktails. - The commercial egg industry is horrifying regardless if your eggs are organic/free range/caged. However, if you keep chickens in a non commercial setting in your garden, they have lots of space to roam, are treated well, and there is no cockerel to fertilise the eggs - does this make the eggs acceptable to eat? Tbh I think I've been put off eggs from the health aspect now, but from having chickens throughout my childhood, if the eggs aren't fertilised a chicken will either ignore them after laying or destroy them out of boredom. Does this justify eating them? - Commercial honey production can be problematic, as the honey is a resource the bees create to feed themselves over winter, and bee keepers can often cull the hive over winter anyway, as they won't be producing honey. However, again if you keep bees as a hobby, don't cull the hive or remove all the honey that the bees create, can this be acceptable? I need to do more research but I can consider myself continuing to eat honey if it was farmed locally, non-commercially, organically etc - due to the health benefits of eating it (and agave nectar is still a little difficult to get hold of). 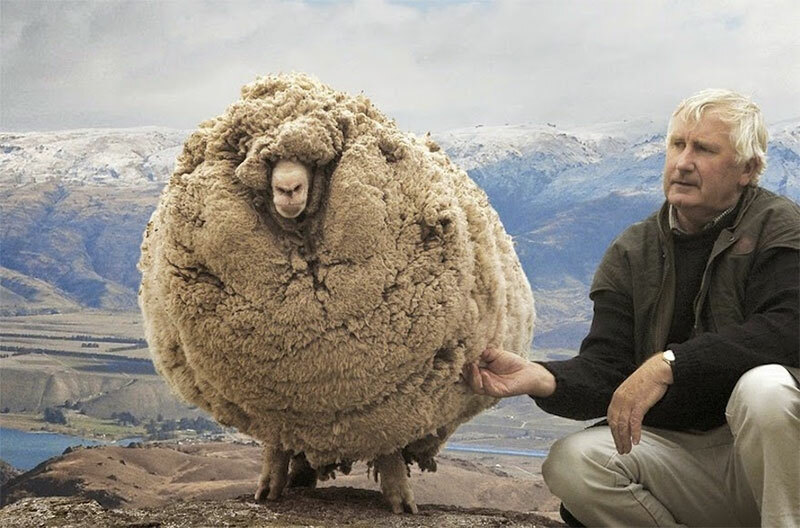 - Not related to food, but wool is another aspect I'm unsure of. My impression was always that sheep NEED to be shorn (I've occasionally seen those articles where sheep are found after being lost for years and are so fluffy they can't actually see/walk properly). However I've read a few articles recently on cruel/reckless shearing practices that can even mutilate sheep. An example of said overgrown sheep. Image source. Yes! For me, I can't see a reason not to stay vegan. The key for making a permanent switch has definitely been educating myself. I now know what happens in the dairy & meat industries from my research (and also from growing up in a farming community, plus living on a small holding with pigs and chickens during my teenage years) - and knowing what happens, I cannot justify to myself eating animal products anymore. I'm going to be carrying on my vegan journey, and I'll keep updating you guys as I go!